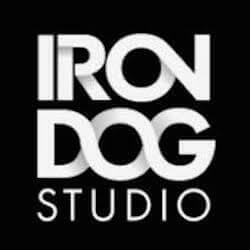 Pokie developer Iron Dog looks like they will be facing a bright 2018 if their latest release, Rainbow Gold is any indication. The graphical style and design here makes this slot feel and play almost like a mobile game. The beautiful graphics add lot of fun to the action on the reels. A 96% RTP and a giant 300 000 jackpot should draw many initial players but it’s the feature packed pokie fun that will keep players entertained and coming back for more. The Tumbles feature is a cascading reels feature which allows players to make consecutive wins without paying a wager on each spin. Whenever you land a winning combination, the macthed symbols will explode and disappear from the reels, allowing the symbols above these matched icons to drop down and fill their place, potentially triggering another win. If another win is formed the feature triggers again. The Free Spins feature is activated by landing consecutive Tumbles in a row, essentially meaning the more you win the more you win. To start with 14 free spins players must land 4 consecutive wins with the Tumbles feature. 5 consecutive Tumbles will award players with 16 free games while 6 consecutive wins will award you with 16 free spins and a 3x win multiplier active during those spins. The maximum award here is triggered by 8 consecutive Tumbles which results in 20 free spins along with an impressive 6x win multiplier active. Rainbow Gold includes pretty much all varieties of wild symbols you can think of. The standard wilds are the star wilds. These colourful icons will show up on reels 2, 3, 4 and 5. They will pop up much more during the Tumbles feature so keep an eye out for them after a winning combination forms. The pot of gold wild is the sticky wild on offer here. It will only show up on the 3rd reel and acts as a substitute symbol. What make this wild special is that it remains in place after it was part of a winning combination. When the Tumbles feature initiates the wild will stay in place potentially creating another win for you. Finally Rainbow Gold includes an expanding wild. This icon appears on reels 2 to 5 just like the standard wild but when they land they expand across the reels.